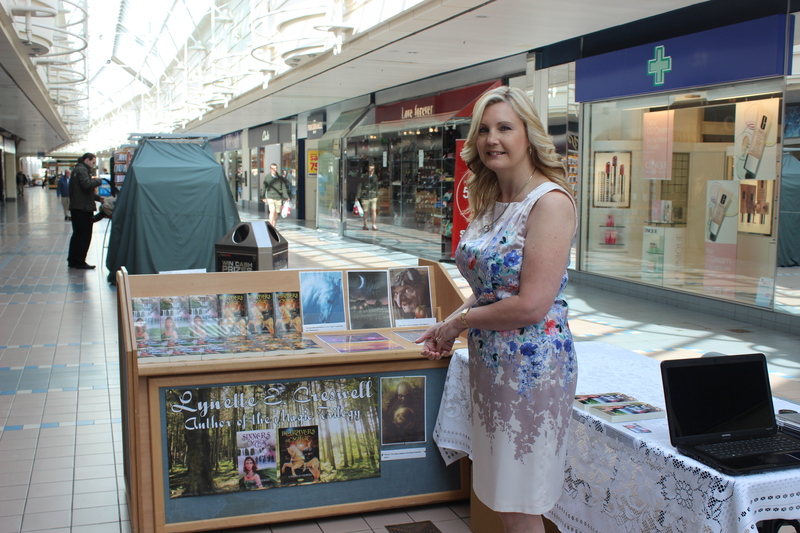 Saturday 29th of June 2013 saw me make my way down to Freshney Place Shopping Centre, Grimsby for my long awaited book signing event. However, like most things in life that are important to you the days running up to the event had been dogged with bad luck. Firstly, I had the misfortune of the local radio station failing to mention my event and secondly, the local paper never received the press release. Therefore, as anyone knows an event without publicity is usually a recipe for disaster. As a local author and one who’s only been around for just over a year, because of what happened, I had no idea what the turnout would be on the day. To make matters worse (could they be worse?) it was Armed Forces Day which meant a lot of people would travel to Cleethorpes where there was an exciting array of activities which included a fly over by the Royal Air Force. 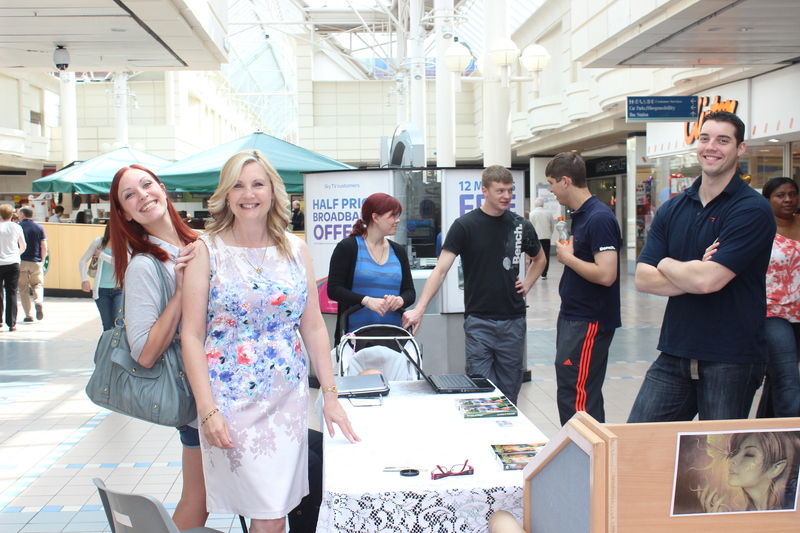 However, once I arrived at Freshney Place, I have to say I was really pleased with the stand donated by the shopping centre. I had asked the organisers of the event for more than just a table on the day, somewhere where potential readers could browse my books at their leisure and not feel pressurised in any way to buy them. This appeared to work as I noticed how the shoppers were more eager to chat to me about my books when they didn’t feel so trapped, i.e. had an easy escape route if they wished and this made it easier to interact with them. Like most authors, I love talking about my books, but trying to sell them is a completely different story (excuse the pun). I don’t see myself as a sales woman, like most writers I see myself as simply that, a writer and after Saturday I feel I really do need to brush up on my pitch. At times I found myself burbling when a potential reader started asking what my books were about. You see, some of these people were not satisfied with just reading the back of the book and as the author, I didn’t want to give too much of the plot away. To be honest, apart from the eye-catching banner I had made especially for the day, the best thing I brought with me was a few laminated posters. These were a godsend as ‘pictures paint a thousand words’ and I found that my vocabulary flowed with the prompts and I could actually see their eyes light up when I showed them pictures of magical horses and dark evil magicians. 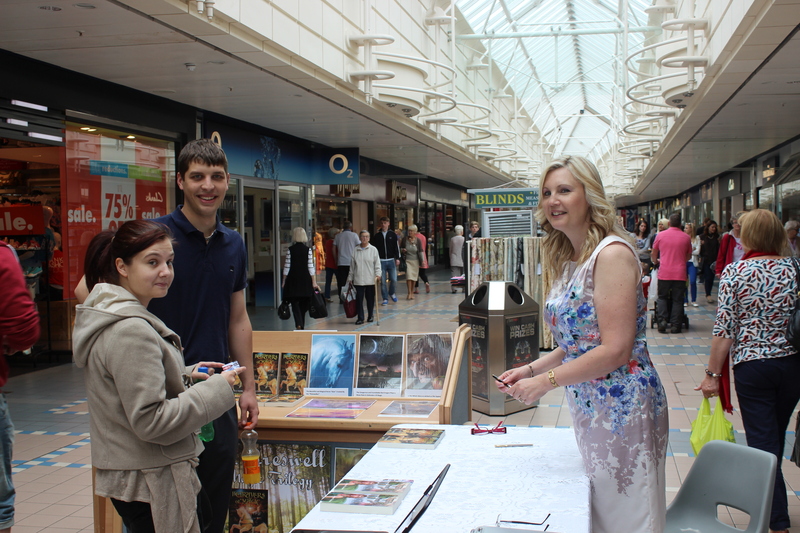 I had also brought along with me, pictures of dragons, elves, witches and a few characters from my movie rendition. I plastered most of these on the back of the stand so that shoppers coming in the opposite direction would be able to see the posters and wonder who I was. All of these ideas, I believe, helped to capture their imaginations and of course sell my books. By two o’clock I think I can honestly say I was mentally exhausted but what a fantastic time I’d had. All my business cards were gone and I had sold most of my books. For me, this was the most exciting experience I’ve had as an author. To learn how much people love my stories, even comparing them to some of the big names made my heart simply burst with joy. Thank you to everyone who helped to make my day such a success, especially my family who all came to support me and take lots of pictures so that I could treasure my special day forever. 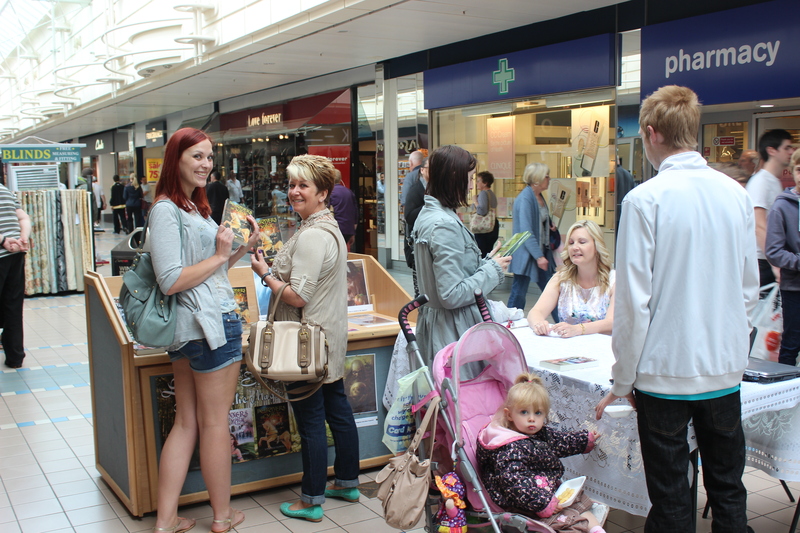 Since then, I have had the local press on the phone and already people are asking me when my next event will be. I think I will give it a couple of months, build up a few more followers and then I think I might head off to Waterstones. You never know, I might just see you there! 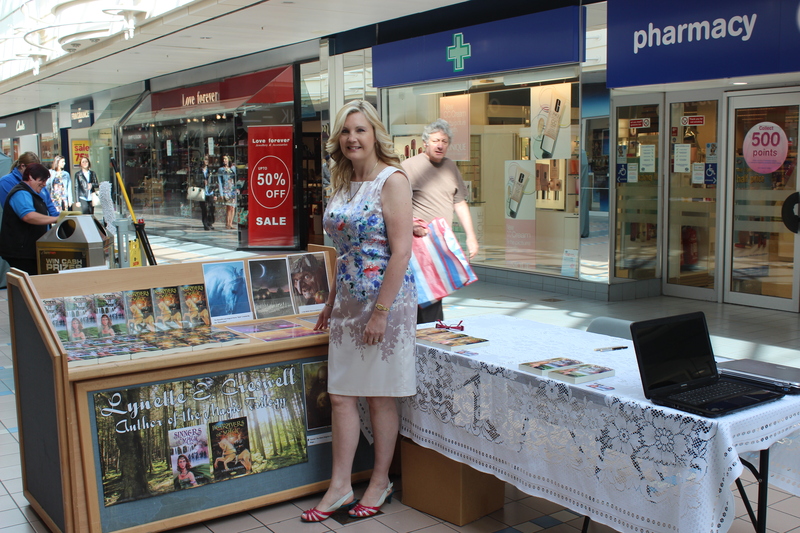 Link to Book Signing at Freshney Place Shopping Centre. 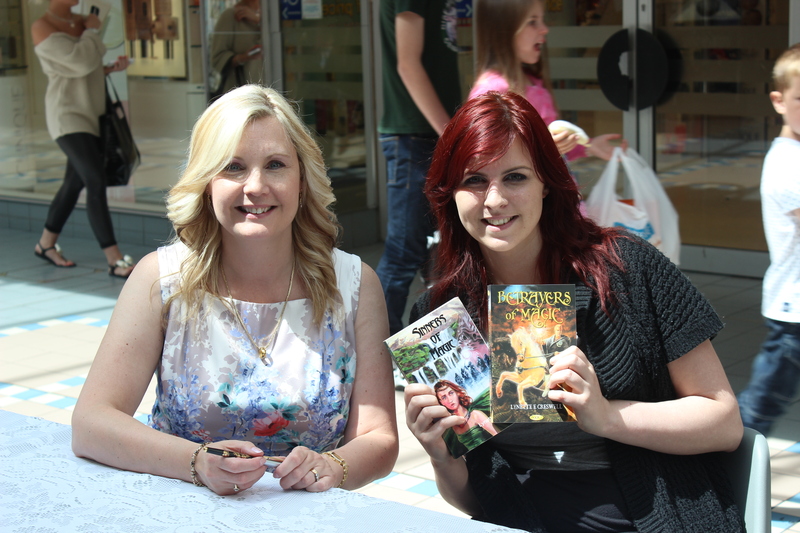 Would love to see you at a signing event for Clump! Is anything on the horizon? Hi, I’m hoping to do a signing in Doncaster soon and I’ll post dates as soon as I can.